APAE for the third time in Targi Kielce! For many years Targi Kielce has specialised in B2B events organisation. In order to meet the automotive industry’s needs, Targi Kielce holds a specialist automotive exhibition for the third time. 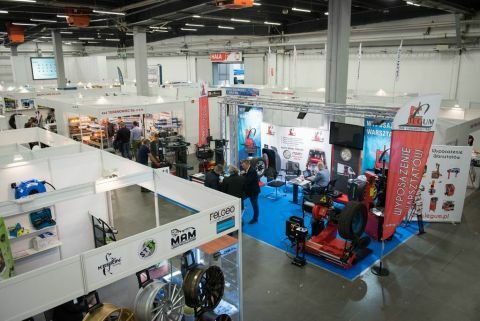 The this year's, 3rd edition of the International Automotive Parts and Accessories Expo has brought together 30 exhibitors from China, which offers a perfect opportunity to establish very good Polish-Asian business relations. APAE is producers’ and distributors’ showcase for everything the automotive industry needs. Therefore, visitors will be become familiar with a wide array of products and services, ranging from engines, body parts, radiators, air conditioners, batteries, through electrical and electronic equipment, alarm and anti-theft systems, varnishes and car windows. There is a wide and diversified offering - the display does not fall short of products for vehicle cleaning and maintenance, design, security and tuning. The the event's product and service range is a perfect complement to the parallel ones International Fair of Public Transport TRANSEXPO and Polish Road-Assistance Expo HOL-EXPO. Join us in Targi Kielce - we look forward to seeing you from 23 to 25 October 2018.